Amitrano added that the thing he saw—which, according to him, had muscular legs, a jutting tailbone, and a human-like shape—flew in a “strange swooping motion, undulating up and down.” After it flew away, he retrieved his phone from charging in the bar and texted his girlfriend and close friends what had happened. “I remember thinking, This was the worst time in the world to have my phone charging,” he laughed. What Amitrano saw that night was one of 55 reported Chicago-area sightings of a flying humanoid in 2017. Accounts have varied from “a large, black, bat-like being with glowing red eyes” to “a big owl” or something that resembled a “Gothic gargoyle” or a “Mothman.” Most eyewitnesses spotted the being in-flight, but some particularly disturbing reports detailed it dropping onto hoods of cars, peering in through windows, and swooping down at bystanders. The alleged “Mothman” has captured the attention of the city, from local media articles and rap songs to Halloween costumes and countless speculative Facebook groups. Amitrano later remembered seeing something on Facebook about the sightings, and as he read more about it he contacted Lon Strickler, a self-described Fortean researcher who’s been compiling all of the Chicago sightings on his website Phantoms and Monsters. 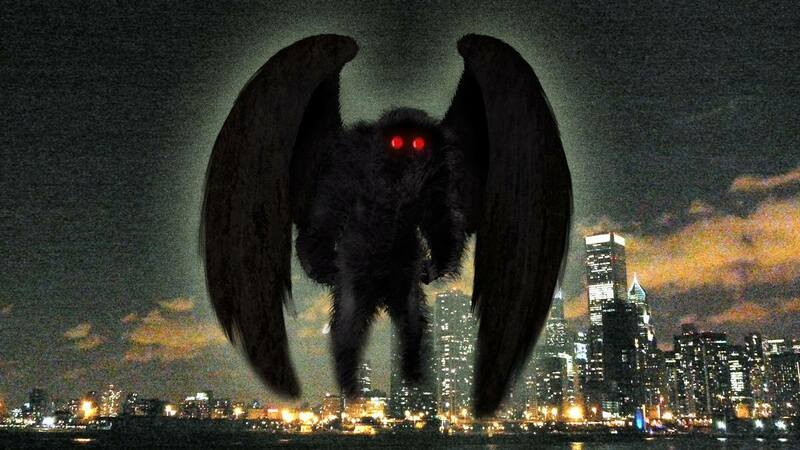 Strickler—whose book Mothman Dynasty: Chicago’s Winged Humanoids was released last month—has been investigating paranormal sightings since the late 1970s and claims to have seen both a “Mothman” and Bigfoot. Since the rash of sightings started in February, he’s been painstakingly interviewing witnesses and documenting their accounts. According to Strickler, these Chicago sightings are unlike anything he’s seen in his decades investigating alleged flying humanoid sightings: “This group of sightings is historical in cryptozoology terms. For one, it’s happening in an urban area for the most part and that there are so many sightings in one period.” He added that he believes there are at least three flying humanoids around Chicago due to the varied locations, the concentration of sightings in certain neighborhoods, and the small differences in the eyewitness testimonies.